Today as many of you may have seen if you follow me on Twitter or Google that I am selling one of my favorite projects Techiemania. Over the past year and a half I have blogged along with Sathish more than 1000 unique articles on this site. It has over 187,000 inbound links coming into it and has a PR3 with 1000’s of PR ranked pages. If you are looking for a site to get you good SEO clients or looking to expand you presence online this would be a good pickup. We are expecting the site to go for a lot of money $15K+ but still would be a great pickup if you are planning on being a big online blogger. Currently gets 1-3 new SEO clients a month (smaller clients around $100/month) but it starts adding up. Alexa in the 15K region. 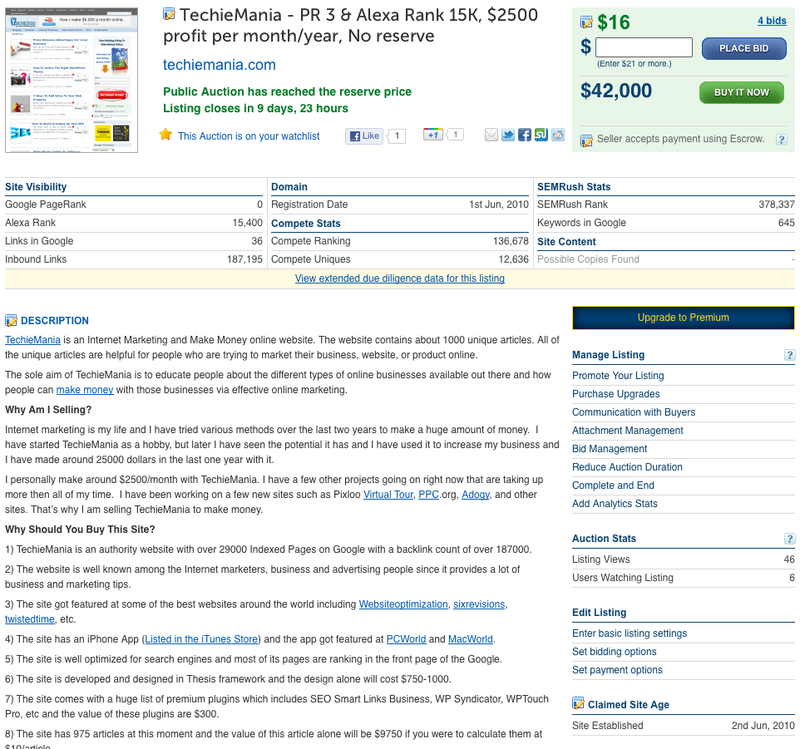 1000’s of PR ranked pages. Makes around $500/month with adsense every month (though we took those off to not cloud our message) but it still gets it. Get’s around 25K unique visitors a month, around 40K page views. 75% of that traffic is search engine traffic.